A realistic wolf roleplay in an apocalyptic setting. We are an intermediate to advanced roleplay community, with a 250 word minimum per post. Live the life of a wild Yellowstone wolf in the valley of Slough Creek! There are rough winters, bison and elk hunts, and the opportunity to raise your own pups! Will you survive the call of the wild? A recently revamped Roleplay site full of fantasy wolves! Three wolf packs must ban together to stop a vicious canine from destroying them all -- join in the battle for Freedom! A pack of strangers turned family in the depths of British Columbia. Join us and find yourself in the wilderness. We're a semi-realistic wolf rpg site. We have a minimum word count of 200, and offer a friendly community. We have two packs, multiple areas to rp. A realistic wolf rpg site using forum-based rp. We DO NOT use wolfspeak. Brand new and ready to thrive! Anyone from new rpers to old timers allowed. We are a new, semi-literate werewolf, vampire, and hunter roleplaying site. We need new members to pick things up! All staff positions are open as well as high pack and coven ranks! You're stranded on an island. Will you become part of the thriving pack? Or will you die out in the wilderness? The choice is up to you. A wolf rp with 4 packs. Caro the nice ones, Falaro the violent ones, Koro the smart ones, Manati is a mix of the three. Come join us. We have very nice members. Souls of the Moon is a secret roleplay site only accessible through invitation. The main roleplay is about the wolves Amiron, but others are capable of creating their own RPGs. Super fun and exciting, you choose your destiny today. What began as a headache and slobbering, became mindless killing. The virus swept through Europe, sparing none. Those who were left well, fought for their lives. Welcome to the game of natural selection. Between Two Realms is a semi-literate forums roleplay site that welcomes everyone! We have three types of species: wolves, foxes, coyotes. The plot is created to encourage players to join in. We hope to see you there sometime! Recently revamped, Crimson is a semi-realistic wolf roleplay. Our community welcomes all and our writers are very diverse. So come and write your tale; River Rayn is calling! Classic semi-realistic wolf RPG. No word count. No character limit. 3-3-3 RPG rating. Slack chat. Clean custom forum design. Semi-literate, winged wolf roleplay. Though your heart may be hollow due to the greedy brutality of life, you can fill it with as many dreams as you wish. The Borderlands is a Sci-Fi canine RP set on the planet Pandora, the fictional planet from the Borderlands game series. A semi-realistic wolf rp based on four major packs, as well as large loner land. There is a special section for stray canine roleplay as well. Can't wait to see you! Here can be found not only prescription drugs but homeopathic and veterinary medications too. More than 60,000 items from eminent pharmaceutical companies. 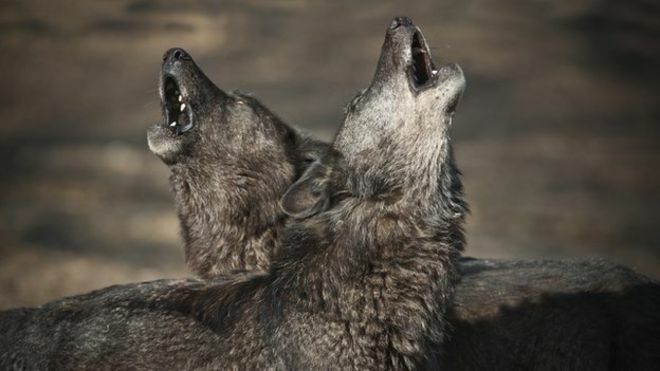 Melodic Wolf Roleplay is about have fun and releasing your inner wolf with others. The website is not completely done!! This is a new wolf role-playing site, with four packs and Wanderer (loner) RP. Come explore a whole new, different world of wolves! Welcome to the Packs is a wonderful newly rebooted site that is continuing many years of lore from sites long since lost to the passages of time. From the ashes of Shinkou Ookami... Reborn as Noctre Imperii. A wolf-based fantasy roleplay. Your imagination is your limit. We will defend the night. Inspired by White Mountain wolfs comes Mountain wolfs. This is a realistic wolf RPG. Come and see for your self. Apple iPhone/iPad, Android Phones/Tablets and more coming soon.